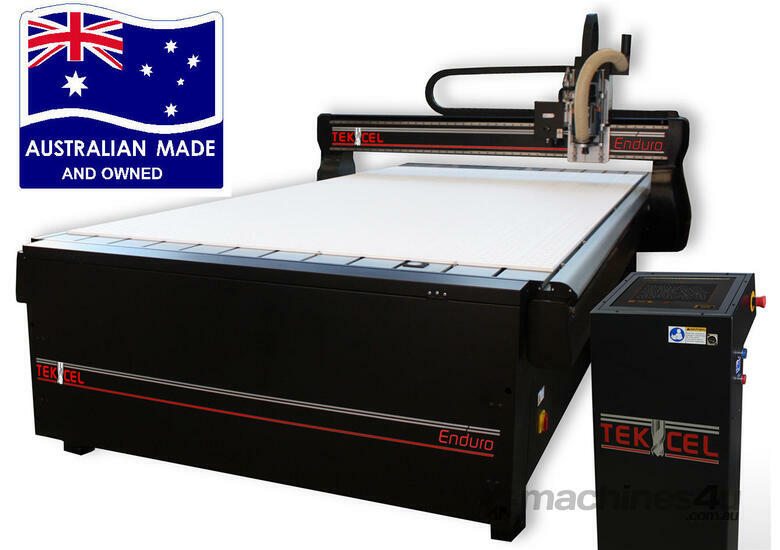 Tekcel Enduro, nested based flat bed cnc router,Australian made, 17 position retracting auto tool changer, vaccum pumps, dust extraction, can be optioned up for full turn key operation, sheet infeed & cut part offload, auto labeling, etc. On the Tekcel with it's precise depth control and an accurately skimmed bed this enables perfect V grooving for straight accurate folds on ACM. No requirements for the expensive surface to depth control features offered by other manufacturers. Please watch the video showing THIS. 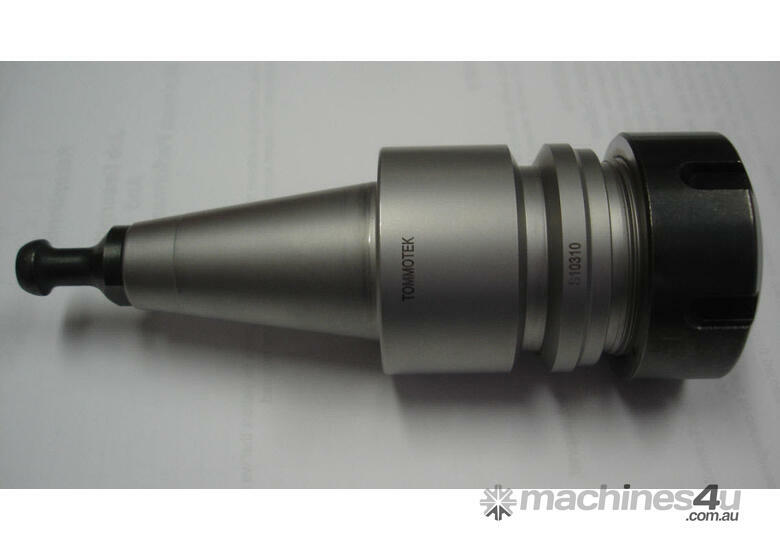 The Tekcel Enduro uses high quality HSD Auto Tool Change Spindles with ISO 30 tool holders and ER32 collets. The spindle is heavy duty 9kW (10hp) motor. 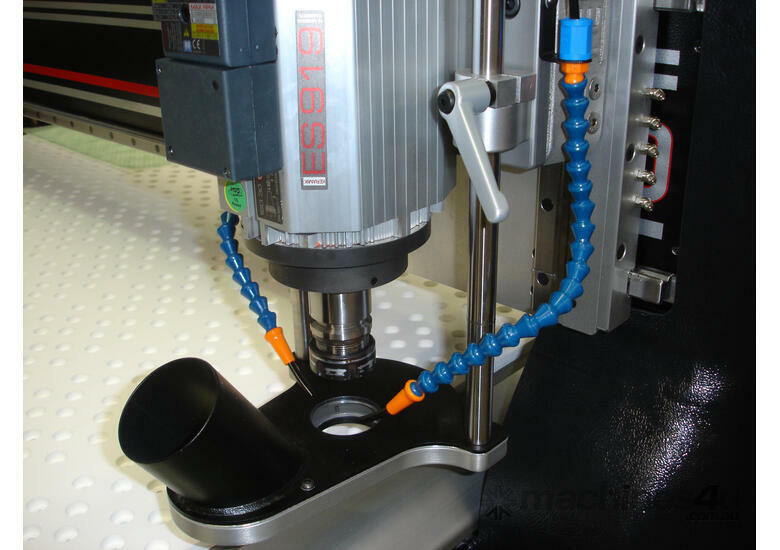 HSD Auto Tool Change spindles are capable of variable speeds up to 24,000 RPM and feature ceramic bearings for longer life and quieter operation in busy production environments. The Tekcel Enduro comes with a pop-up tool rack which can accommodate up to 17 tools depending on the size of the table you chose. This configuration is often more than enough for shopfitters, cabinetmakers and some plastics and sign manufacturers..
Tekcel routers feature recirculating ball leadscrew drive systems powered by closed loop, digital servo control motors on all axes. 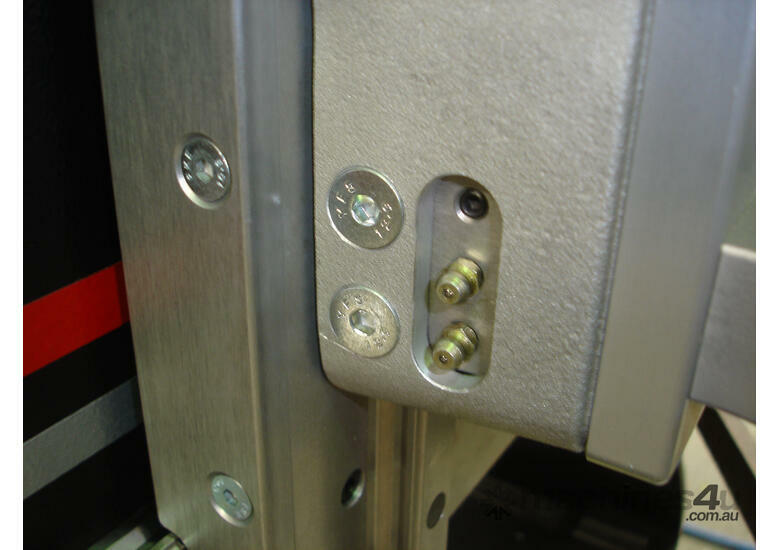 The X axis has 2 leadscrew drives to power the heavy duty gantry up and down the bed. The ball leadscrew drive systems deliver unerring accuracy, repeatability and reliability. Their rolling ball design virtually eliminates contact wear and creates a robust linear motion free of play. 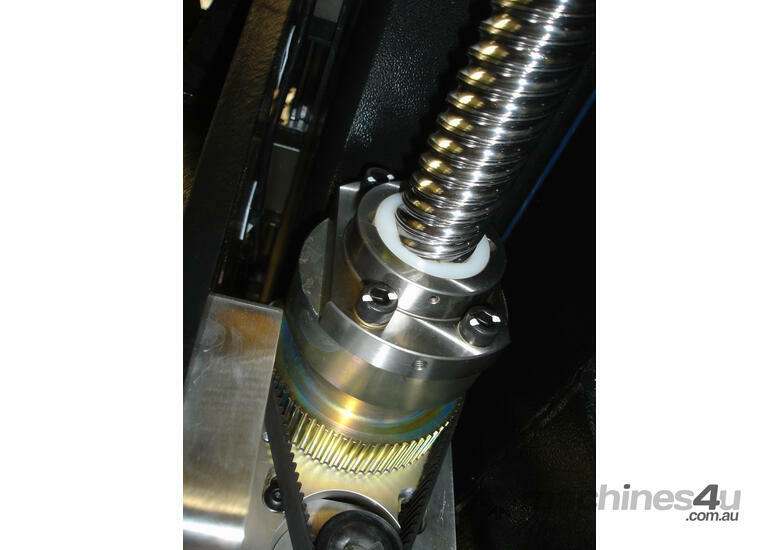 Less expensive drive systems, such as rack and pinion, are subject to wear and, as a result, can end up costing considerably more in terms of loss of accuracy, breakdowns and loss of production. Our servo motors deliver the power you need to get the through the biggest workloads, constantly checking their position to maintain cutting accuracy at all times. The Tekcel Wireless Auto Tool Length Sensor ensures the machine can keep track of the length of the tool you are using. If it knows the length of the tool you will get extremely accurate cutting depths and will not be able to cut into the bed of the table. 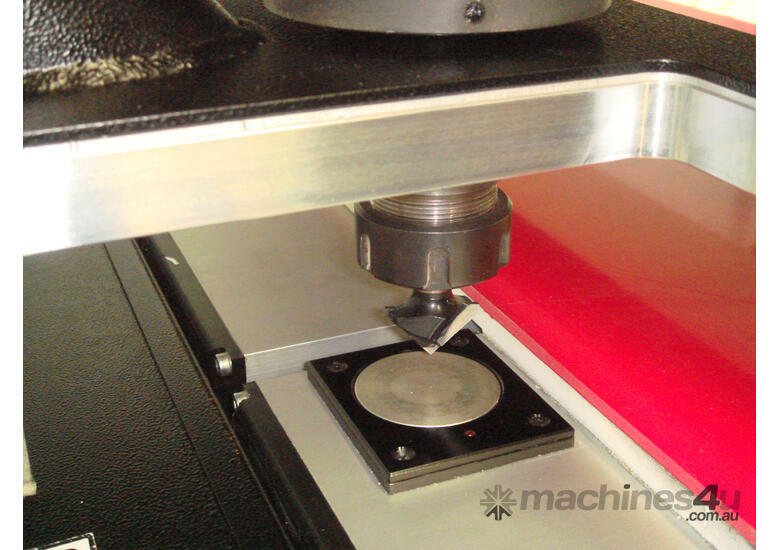 Even if you accidentally program the machine to cut too deep it will not continue past the top of the bed. Incidentally the Tekcel keeps track of its X and Y positions at all times too. This ensures you can not crash the gantry on any axis, providing safety and eliminating expensive service calls. 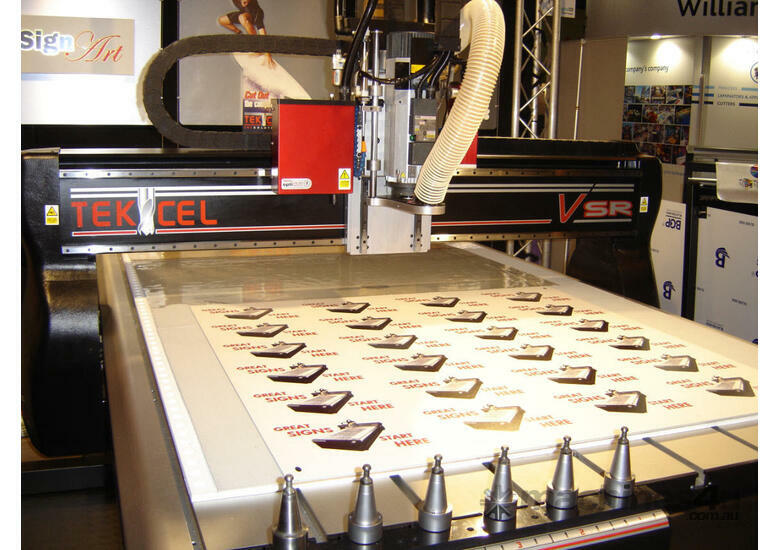 All Tekcel CNC Routers incorporate pop-up locating pins as standard. 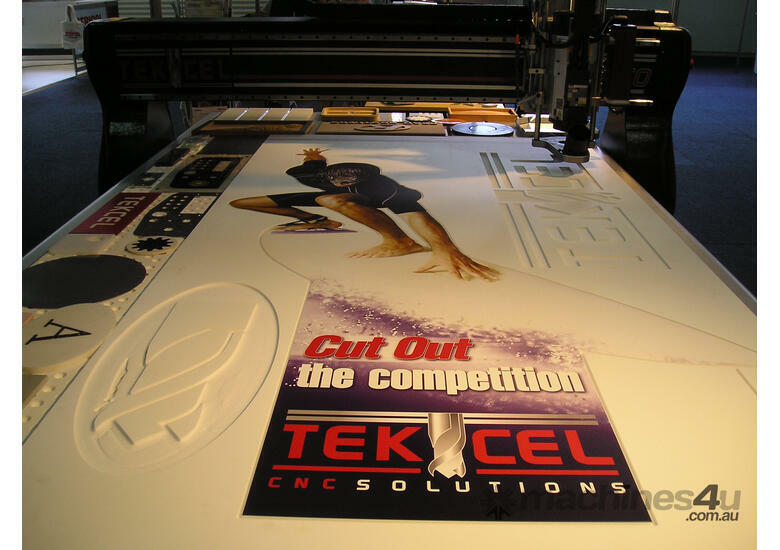 Many other machines only offer this feature as a paid option, but they come standard on the Tekcel CNC Routers. Simply pop the pins into the up position, slide the board against the pins at the front and side of the machine, then drop the locating pins down again. Your board will be perfectly positioned time after time. 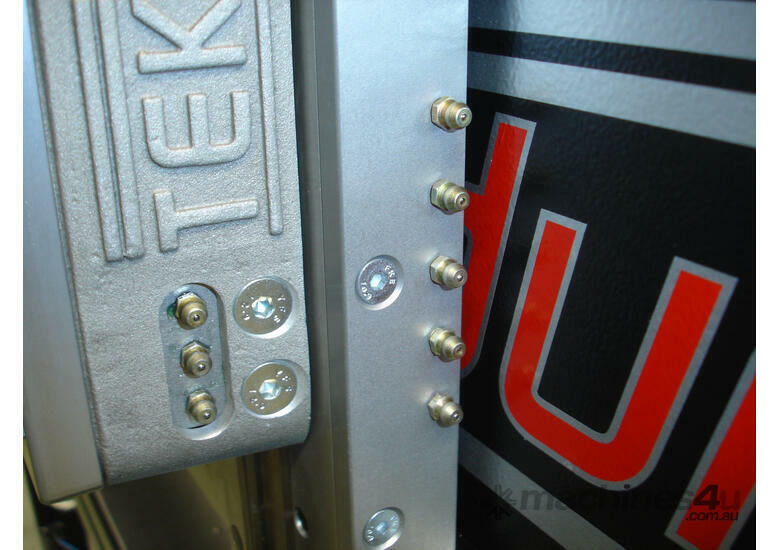 The Tekcel Enduro features a heavy duty steel frame and gantry. 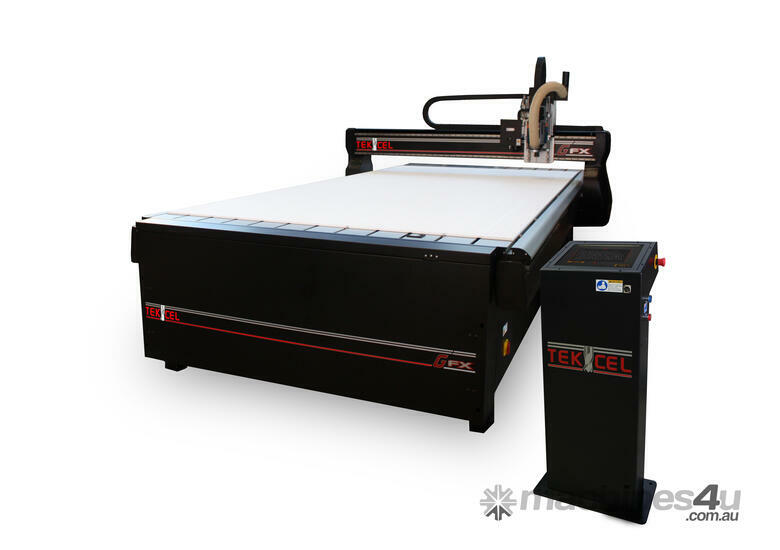 The frame and gantry are precision machined and welded to ensure outstanding rigidity. 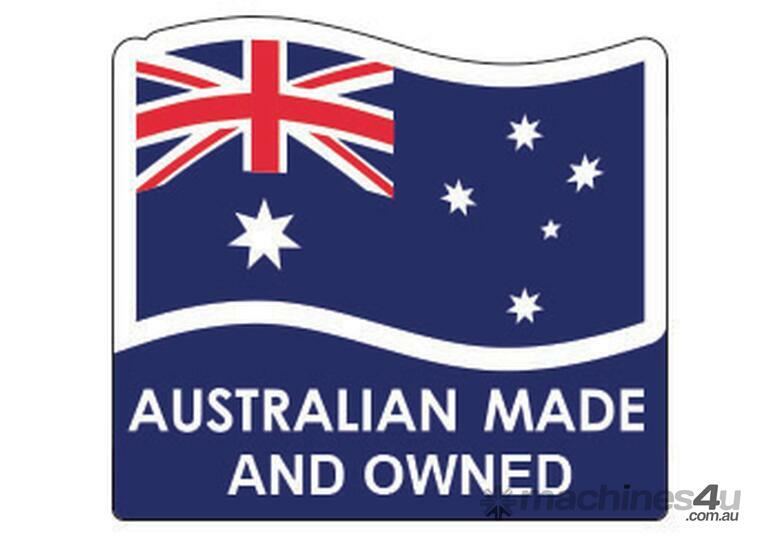 This will remove any potential for vibration, which could otherwise affect cut quality. The construction of the frame also includes forklift pick up points to assist with easy transportation and installation onsite. The router bed is constructed from heavy duty reinforced aluminium extrusions which retain their shape even under stress from the strongest vacuum pressure. 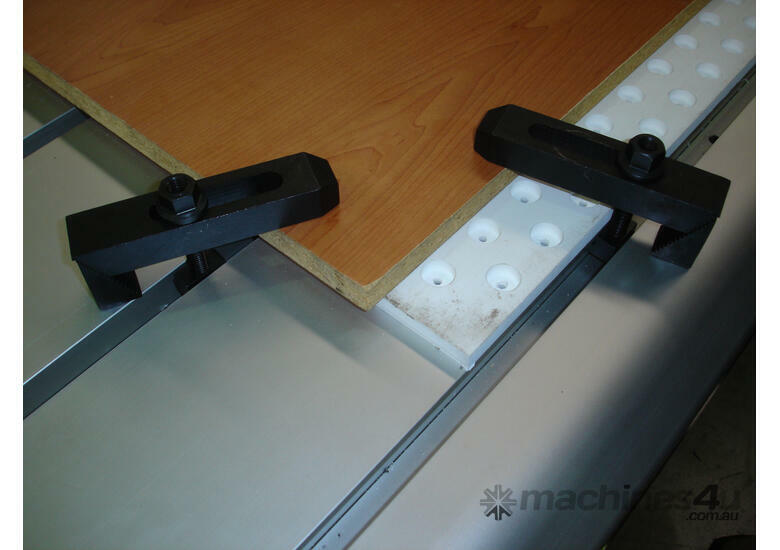 When topped with rigid foam and precision milled the tables are so flat they can be used for cut to mask applications (cut the material and leave the protective paper intact).